Oneonta Redskins 9-U Allstar team: Front row (left to right): Reed Woods, Sam Patrick, Garrett Helms, and Marquarious White. Middle row: Landon Hyde, Charlie Jones, Kaden Frith, Brendon Byrd, and Luke Weems. Back row: coaches Chad Weems, Pat Hyde, Allen Jones, and Steve Patrick. 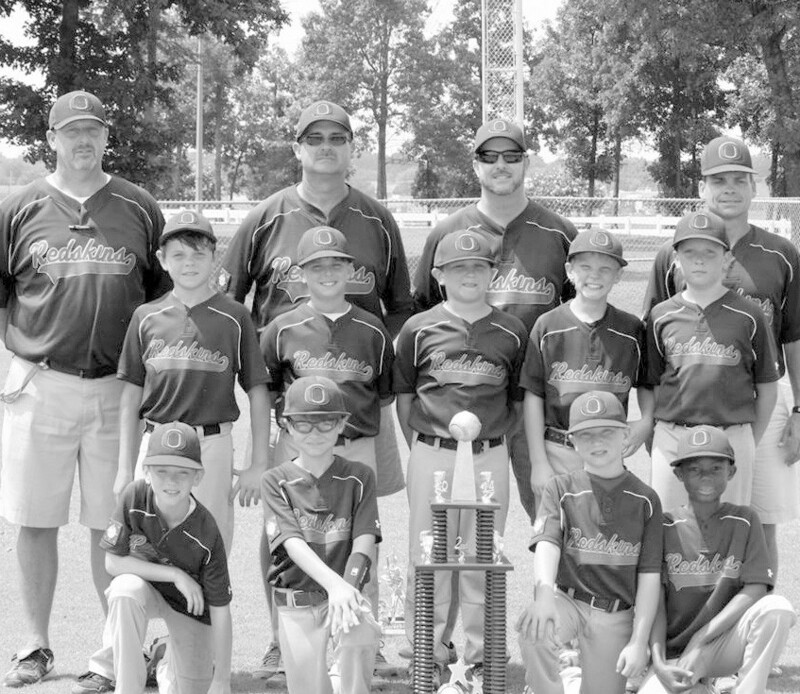 The Oneonta Redskin 9-and-under All Star team battled their way to a second-place finish at last week’s World Series in Southaven, Miss. The team rolled up wins over Boynton (14-5) and Caledonia (9-8) to advance to the semifinals against Levy Park (Fla.). Levy Park handed Oneonta its first loss (10-3) but the Redskins didn’t go down without a fight. 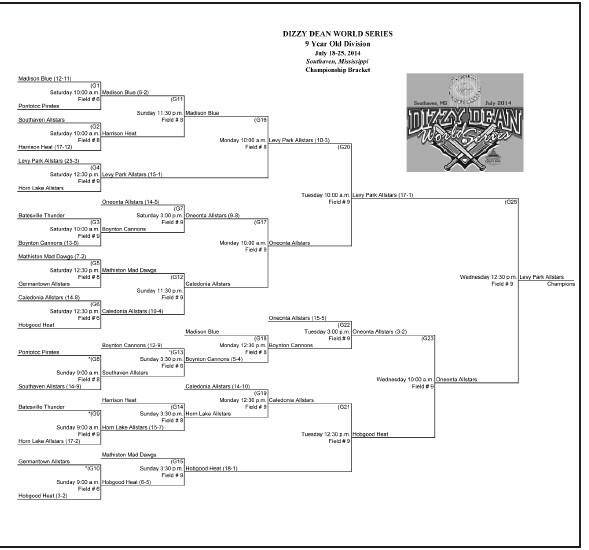 Forced to battle their way through the loser’s bracket, Oneonta handled Boynton for the second time (15-5) and then outlasted the Hobgood Heat (3-2) to earn another shot at Levy Park for the championship. The Redskins hung with the Florida champions early but Levy Park had back-to-back innings to pull away and won the title game, 17-1.